King Of DJ is a DJ and DJ equipment provider. As a DJ, he uses his knowledge of music history from many cultures and genres with electronic compositions, which redefine and re-contextualizes the past into the present. This is best shown in his Events and Video released on this site. He has remixed and produced many diverse artists including Miles Davis, Curtis Mayfield, Radiohead, Alison Moyet, Everything But the Girl and Chic, as well as scoring commercials for Rolex and L�Oreal Paris. 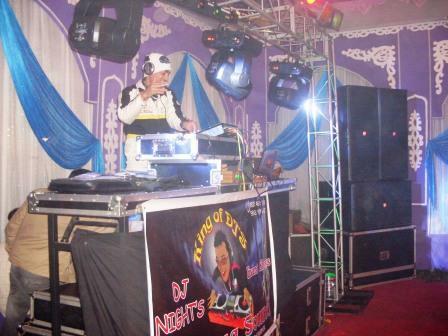 As a performer, King is best known as one of the top globetrotting dj�s in the Bihar. He has done various Events in the many towns of Bihar. In addition to the dj sets, he brings many projects from studio to the stage environment. His commitment, dedication, and excellence in being a DJ can be seen from the success in his business.